Council participates in the Australia-wide drumMUSTER programme for the collection of used chemical drums for recycling. This initiative provides an easy, environmentally-friendly way of disposing of empty farming chemical containers across rural Australia. similar activities conducted by government authorities. 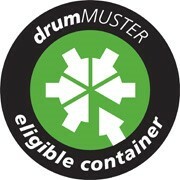 Participating manufacturers are identified by the inclusion of the eligible drumMUSTER container logo on their eligible containers. The logo can be displayed on the chemical label, embossed into the container wall or applied as a sticker to the container. Containers not displaying this logo may be from non-participating manufacturers and will not be accepted into the program. For farmers on the peninsula there are collection sites at three Transfer Stations; CYP, Ramsay & Warooka. Before acceptance, drums will be examined by drumMUSTER inspectors and, if not totally cleaned as required, they will be rejected. 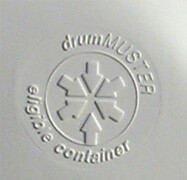 For more information on the drumMUSTER programme and tips on managing containers view the drumMUSTER website.